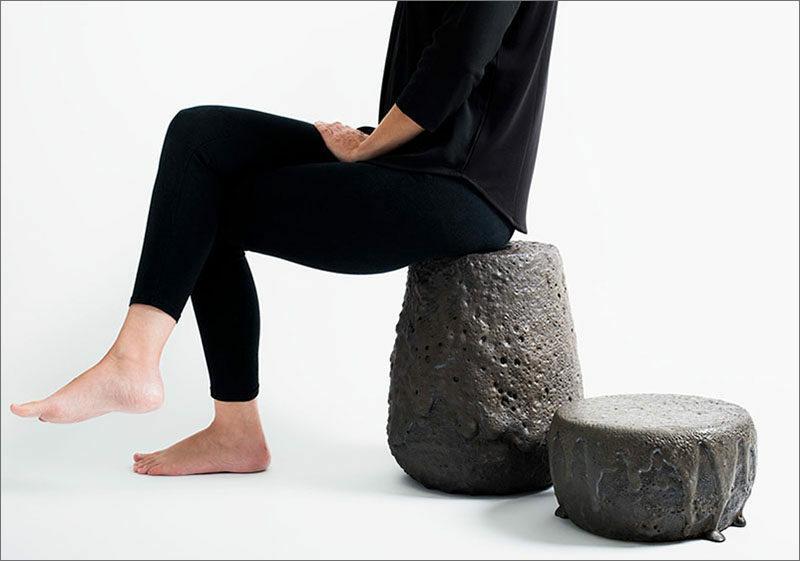 Chilean design studio gt2P (great things to People), have launched their latest collection, named “Remolten N°1: Revolution Series”, a group of stools that have been created using real lava. 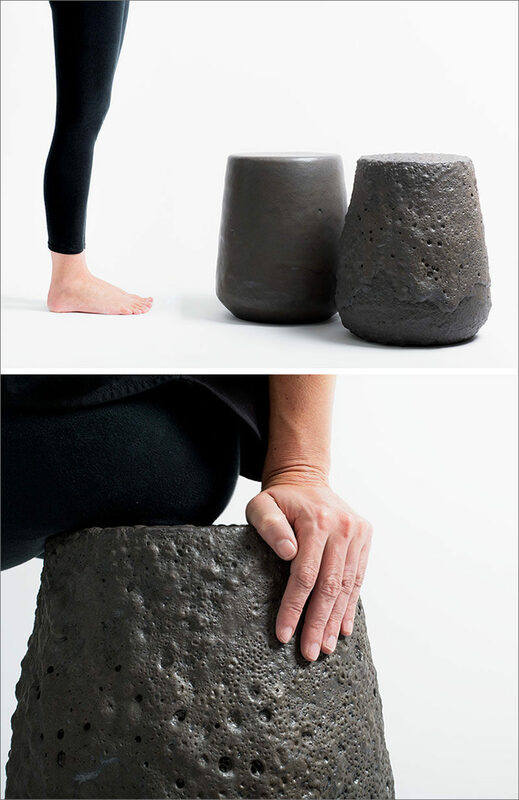 The group of stools are made from volcanic rock that’s been crushed and re-melted onto a stoneware form. 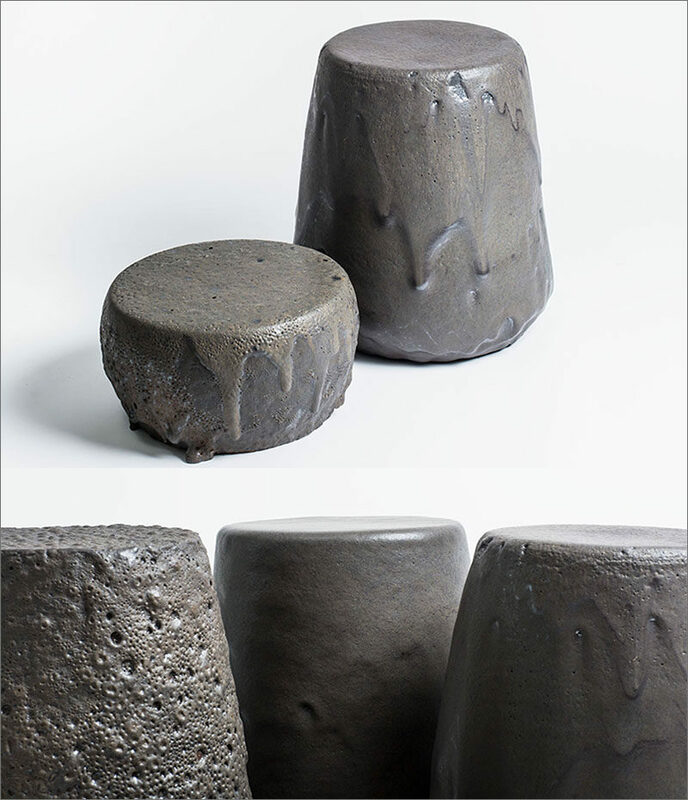 Depending on the temperature of the lava, they’re able to create three different looks for the stools; trapelco is smooth, mahuanco is dripped, and quitralco is rough. 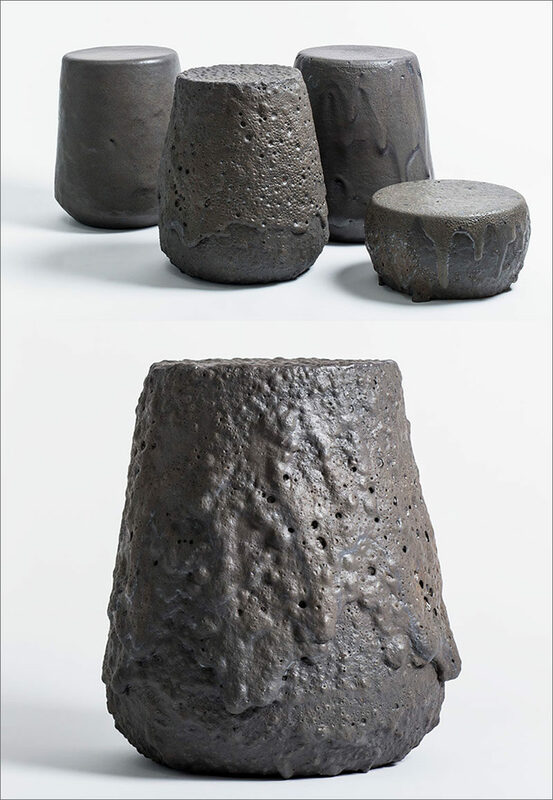 The series is the design studio’s second collaboration with the gallery Friedman Benda, and the pieces will premiere at Salon: Art + Design from November 10-14, and at Design Miami from November 30-December 4, 2016.